Winter Returns To The Marsh! Experience the "quiet time" and explore evidence of animal life and ways in which the plants and animals prepare to live and protect themselves during the winter. Free, family friendly nature outing, no registration required. Enjoy a docent table with hot chocolate and campfire after the outing. 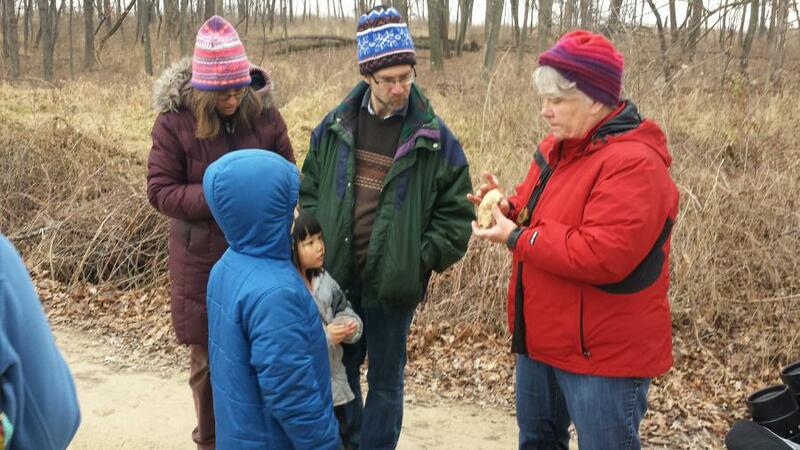 Walks at Cherokee Marsh North held on the 1st Sunday every month are co-sponsored by Madison Bird City FUN partners Friends of Cherokee Marsh and Madison Audubon. Follow North Sherman Ave. to the parking lot at the end of the gravel entrance road.